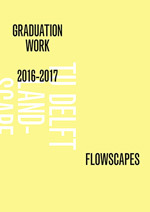 Saskia de Wit | HowDoYouLandscape? In the field of the arts, criticism often plays a key role in situating artistic production and instigating debate but especially in propelling theory and practice. As Dave Hickey suggests “Criticism, at its most serious, tries to channel change.” However, in the domains of landscape architecture, architecture and urban design, criticism seems to have a more distanced role from reflection and design. Besides a few notable examples, such as the influence of the critical writings of Reyner Banham and Alan Colquhoun on a generation of British architects and urban designers in the 1960s, criticism seems to hold a marginal position within the fields of architecture, urban design and landscape architecture. Given that the object of criticism—the urban landscapes and buildings that surround us—are very complex and layered realities, criticism seems to have a kaleidoscope of possibilities to start from: the value frames (formal, social, cultural, political, aesthetic) are multiple and a panoply of methods is at the disposition of the critic. This broad scope of possibilities seems to paralyse the critical activity in the design disciplines. In-depth criticism seems to be a rare phenomenon and if profound critical investigations are undertaken, they too often are rallied to the pages of very specialized academic and artistic journals that remain at a large distance from design practice. 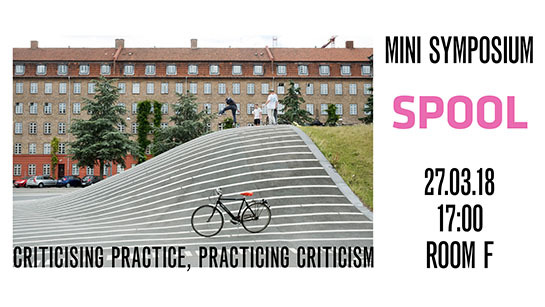 Against this background this mini-symposium—and the parallel theme issue of the online journal SPOOL Criticising Practice – Practicing criticism—will enter into the discussion on the possibilities and impossibilities of criticism within the field of the design disciplines. 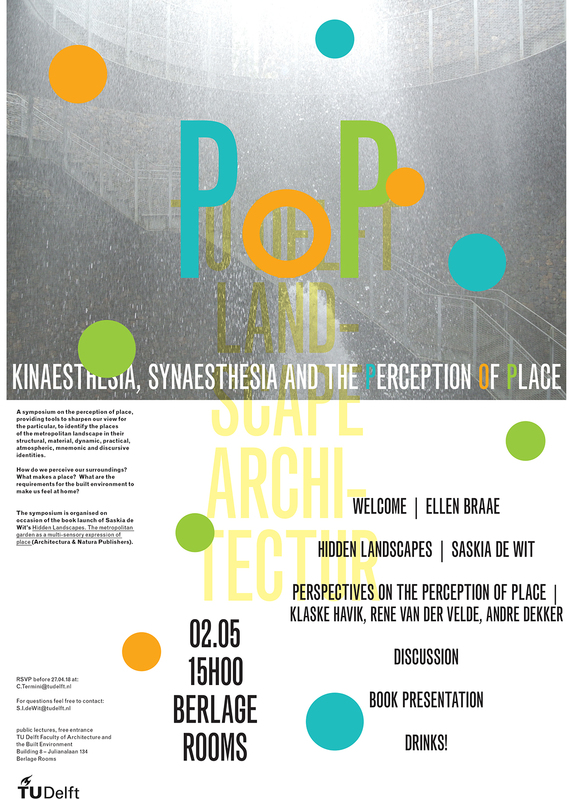 We are especially interested in how criticism can make an active contribution to taking a position vis-à-vis what we have called in earlier issues of SPOOL the contemporary condition of ‘the landscape metropolis’. Criticism is an important means of reflection on the creative processes and interventions that are part and parcel of this landscape metropolis. Critique throws light on particular projects by describing and explaining them, but also by evaluating and generalizing these reflections towards an entire discipline, be it landscape architecture, architecture, or urban design. On the 22nd of november the Landscape Architecture master students went on another of many adventures. This time, the path led to Holwerd, a historical village in Friesland on the coast of the dynamic and beautiful Wadden Sea and to the island on the other side, Ameland. Being the biggest tidal area of the world, the Wadden Sea is one of Holland’s prides showing an intriguing interplay of nature’s power and man’s whit. With its rich ecology and its captivating views, the area earned its World Heritage title. And upon experiencing the site, we could all agree. Poetry was written all over our two day trip as we drifted away from our student life in Delft and wandered into the lives of ecologists, birdwatchers, the inhabitants of Holwerd and Ameland and the ferry captains. We saw both natures beauty in the astonishing sunset sky, the dancing bird formations and the foggy dunes in the morning light and man’s whit in the terps of Holwerd, the abstract line of the dikes and openness of the polders. When we looked up to the night sky, it was the first time in a while that we could see the stars and when we climbed up to the panorama deck on the ferry, the Wadden Sea showed off its looks presenting the tidal flats. It is safe to say that the Wadden Sea area is unique and that hopefully, the next adventure will bring us to another place like this. A landscape architect for president. How about it? In the first part of this feuilleton this idea turned out to be not as far-fetched as it sounds…. All first American presidents were gardeners/farmers, using their own garden to experiment with and express their ideas on what the future America should be, with Thomas Jefferson as their champion. In part III we will see how Thomas Jefferson’s close-knitted relationship between gardening, garden design, landscape architecture and politics becomes manifest when he translated the experiments with his own garden Monticello to the University of Virginia, materialising his democratic ideals. Jefferson had been involved in every detail of the university, from its foundation to the design of the buildings and gardens. He envisioned a new kind of university, where students and faculty could interact, live and learn all together, and dedicated to educating in practical affairs and public service rather than in more academic professions. It was the first non-sectarian university in the United States, revolutionary for its time in terms of its curriculum, educational methodology and physical form. Both programmatically – the combination of classrooms and living quarters – and spatially – the spreading of the academic buildings into the landscape as a unified, harmonious interrelation – the composition of the university displayed a new way of thinking. The university, which opened in 1825, is designed around a lawn, terraced down in order to deal with the hilly topography of Charlottesville and flanked on each side by a formal alley of trees, with at the end the library – inspired by the Pantheon in Rome – as the majestic centre-point. The lawn’s edges are defined by a series of educational pavilions with student housing between them, connected by a continuous colonnade. The lawn is the formal garden and main public space of the campus, in opposition to the more private rear gardens of the pavilions. Its precedents can be found in the quadrangles of the English university towns Oxford and Cambridge. However, unlike the air of exclusiveness of its European predecessors, the American lawn, opening up to the unbounded landscape, reflected both domesticity and community, in an amalgam of an ideal of romantic pastoralism and democratic communalism. It promoted a community ideal, and the critical conception that a place can create community. For further reading: Therese O’Malley, “The Lawn in Early American Landscape and Garden Design,” in The American Lawn, ed. George Teyssot (New York: Princeton Architectural Press, 1999).